The #1 trending saying over the past fortnight is ‘hope is not a plan’! Yet we get the sense that some investors are ‘hoping’ that this market will climb higher. From a valuation perspective, the ASX does look attractive. 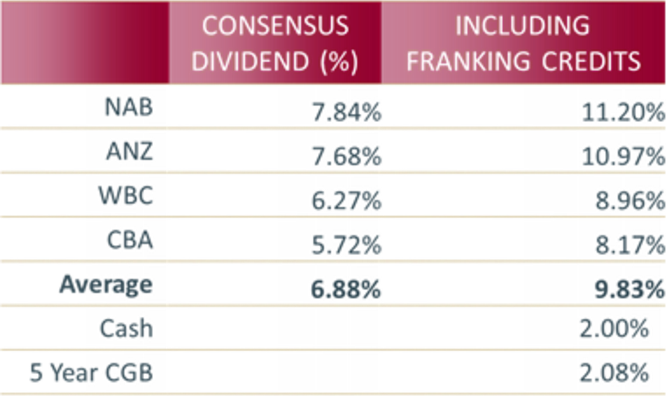 For example, the difference between bank dividend yields and the cash rate is approaching 8%. Without splitting hairs, this is pretty much the highest differential on record (see chart below). So on a bottom up basis, it is hard to see the catalyst for the next leg down, given share prices are already depressed and valuations are reasonably robust. However, there are a plethora of macro issues that are weighing on the indexes, and at this stage the recent recovery in the market is consistent with a bear market relief rally. We are of course not wedded to this view. Another couple of hundred points and we may re-assess our position. But we are about to head into the traditionally weak ‘season’ on the ASX, where 4 of the 5 middle months are commonly negative. Whether or not the old catch cry ‘sell in may and go away’ will ring true once more is anyone’s guess. But for us - for now - return of capital remains the focus ahead of return on capital. Thanks for sharing these sentiments Romano, some good charts..